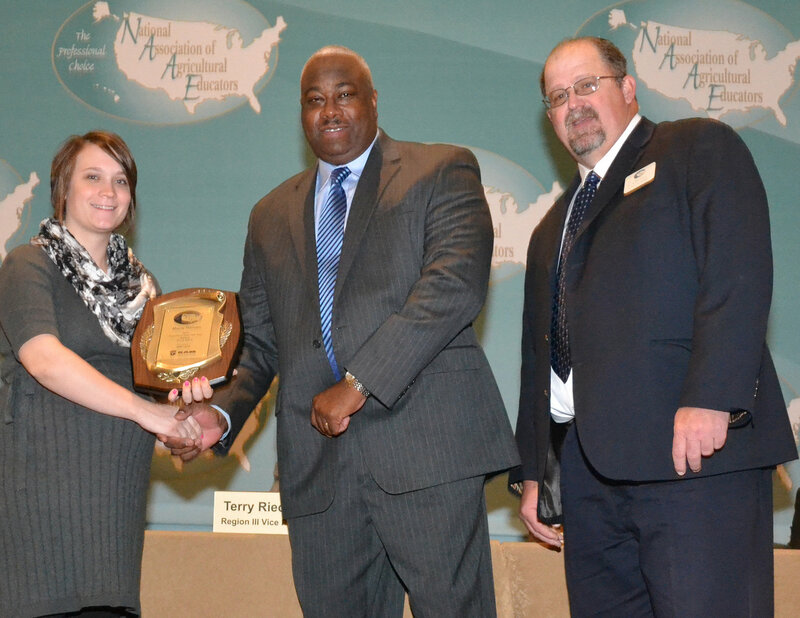 Four alumni of the Department of Agricultural Communication, Education, and Leadership were recently recognized at the 2014 National Association of Agricultural Educators annual convention in Nashville, Tenn., November 18-22. JoAnn Pfeiffer, agricultural educator at Federal Hocking High School in Stewart, Ohio, is one of only six individuals nationwide who received the Agriscience Teacher of the Year Award. 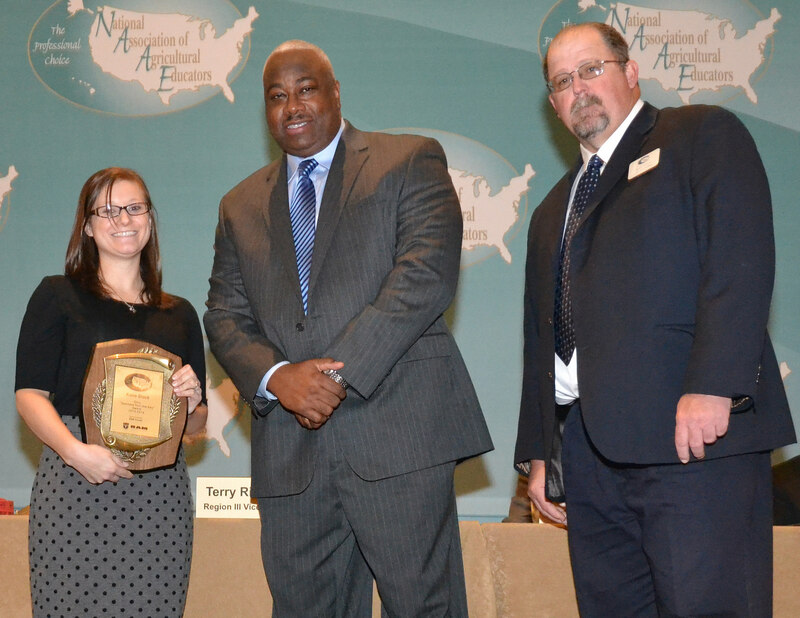 The National Agriscience Teacher of the Year award recognizes teachers who have inspired and enlightened their students through engaging and interactive lessons in the science of agriculture. Pfeiffer has been teaching agriculture for 15 years at Federal Hocking High School. The two-teacher agriculture program is popular — currently reaching half of the students in the high school. The program guides students through inquiry-based projects so they can make connections between science, math and agriculture. Pfeiffer’s goal is to teach students how to think and find answers on their own. She challenges students with a problem, and asks them to consider and test solutions to find the best solution on their own. Gina Neff, agricultural educator at Lancaster High School in Lancaster, Ohio, is one of only six individuals nationwide who received the Outstanding Young Member Award. Neff has been the agriculture teacher at Lancaster High School for the past four years, where she engages students in an agriscience based curriculum. She is certified to teach Curriculum for Agricultural Science Education (CASE) for all four of her classes: Principles of Agricultural Sciences – Plant, Natural Resources and Ecology, Principles of Agricultural Sciences – Animal, and Introduction to Agriculture, Food, and Natural Resources. CASE is a system of instruction and teacher support that trains educators in inquiry-based teaching methods and provides them with a structured sequence of agriculture courses. 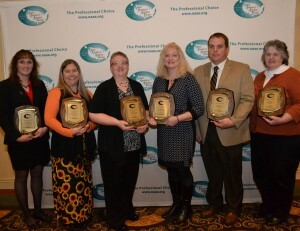 Maria Homan, agricultural educator at New Bremen High School in New Bremen, Ohio, and Katie Black, agricultural educator at Wauseon High School in Wauseon, Ohio, were two of a select group of agriculture teachers nationwide who received the 2014 Teachers Turn the Key professional development scholarship. One of the keys to Black’s success at Wauseon has been the strong support of the school’s FFA Alumni chapter. 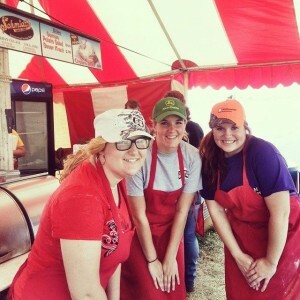 Alumni members lend a hand wherever needed, whether that means helping in the classroom, volunteering at events, or coaching a team for a FFA competition. Black has also been able to secure grants that have given her funding to provide some unique learning facilities for her students. These include sensory trails in a nearby two-acre wooded area and a two-acre community garden, in addition to their already established 88-acre land and livestock facility. Each of these facilities helps her provide students with various hands-on activities, whether it’s learning to plow a field or safely operate a chainsaw. 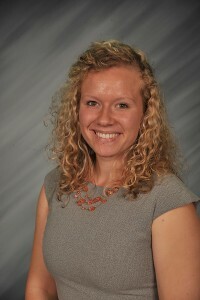 Homan has been the agriculture teacher at New Bremen High School since 2013, and taught at Fairlawn High School for two years prior to that. At Fairlawn, one of her biggest academic accomplishments was a hydroponics unit that was developed, built, and used by students. Now at New Bremen, Homan continues to provide real-world learning through labs like artificial insemination and 3-D digestion modeling, as well as field trips to local farms and guest speakers in the classroom. The Teachers Turn the Key scholarship brings together agricultural educators with four or fewer years of experience and immerses them in three days of professional development that addresses issues specific to the early years of teaching agriculture. Participants also have the opportunity to become involved in NAAE leadership and network with other NAAE convention attendees. TTTK participants come away from the experience with a long-lasting peer cohort and tools that will help them have successful careers as agricultural educators. These award winners are graduates of the agriscience education major at Ohio State (formerly agricultural and extension education.) The agriscience education major prepares its students to acquire a license to teach agricultural science in secondary high schools in Ohio and across the country, with extensive training in agricultural science, educational psychology, instructional methods, and youth development. 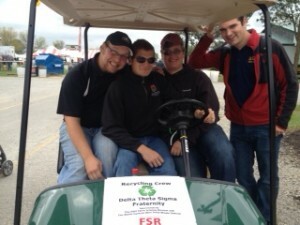 For additional information on the agriscience education major, visit acel.osu.edu or call 614.247.6358. On Sunday, December 21, the Department of Agricultural Communication, Education, and Leadership (ACEL) had eight students graduate with a Bachelor of Science, two students with a Master of Science, and two students with their PhD. 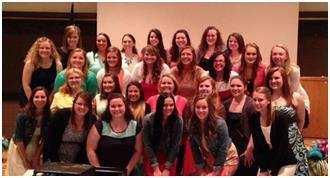 We are very proud of these students and wish them the best in the next chapter of their lives. 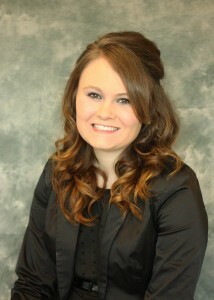 Nicole Steiner, of Creston, Ohio, graduated with degrees in agricultural communication and psychology. 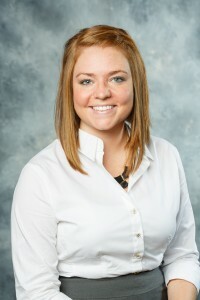 After graduation, she will be working as a communications and media specialist at Certified Angus Beef in Wooster Ohio. Lindsay Bloom, of Tiffin, Ohio, graduated with a degree in community leadership. After graduation, she will continue her career with DuPon Pioneer and attend graduate school. Brittanie Johnson, of Hilliard, Ohio, graduated with a degree in community leadership, with a specialization in community and extension education. After graduation, she plans to purse a career in 4-H youth development or programming in order to educate, shape, and grow individuals to create a brighter future. Her long term plans include starting a learning farm where individuals both young and old can come experience where our food comes from and the importance of agriculture. Dara Ferryman, of Springfield, Ohio, graduated with a degree in agricultural communication. She is currently searching for a communication position in central or western Ohio. 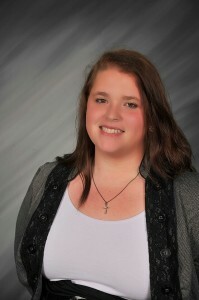 Gabriela Beni, of Twinsburg Township, Ohio, graduated with a degree in agricultural communication. After graduation, she plans to travel abroad. Jillian Kalis, of St. Clairsville, Ohio, graduated with a degree in community leadership. She plans to work for a non-profit as a volunteer manager or within program development. Each week there will be a new question for our students to answer and the responses will be compiled into a blog post. You can share your name or submit anonymously. JThe question for this week: What are your plans for winter break? January 30-31, 2015 It’s an opportunity for leadership experience, building personal and professional skills, networking with agricultural leaders, and making a difference in our communities, Farm Bureau and agriculture. Join us for a time of personal and professional development, meeting other young professionals from around Ohio, fun, food and fellowship! Find out more information here. Need a cooler for livestock shows or game day? How about a padfolio for the next career fair or job interview? ACT is selling coolers and padfolios with the college logo for $30 and $20, respectively. The coolers are a red chair and cooler in one, supporting up to 198 pounds. The padfolios are black with red lettering and are great for taking notes and storing copies of your resume. Bring cash or check to Ag Admin 203 to pick up your coolers and padfolio’s today. Supplies are limited! Applications are now available on the CFAES Website. They are due on January 15, 2015. Visit here for more information. Applications are now available for individual and student organization awards. Please visit here for applications and instructions. Awards include: Internship Award, New Activity Award, Outstanding First Year Student Scholarship, Outstanding Service to Students, Outstanding Student Employee, Outstanding Student Organization, outstanding Undergraduate Academic Mentor, Ray Miller council Scholarship. 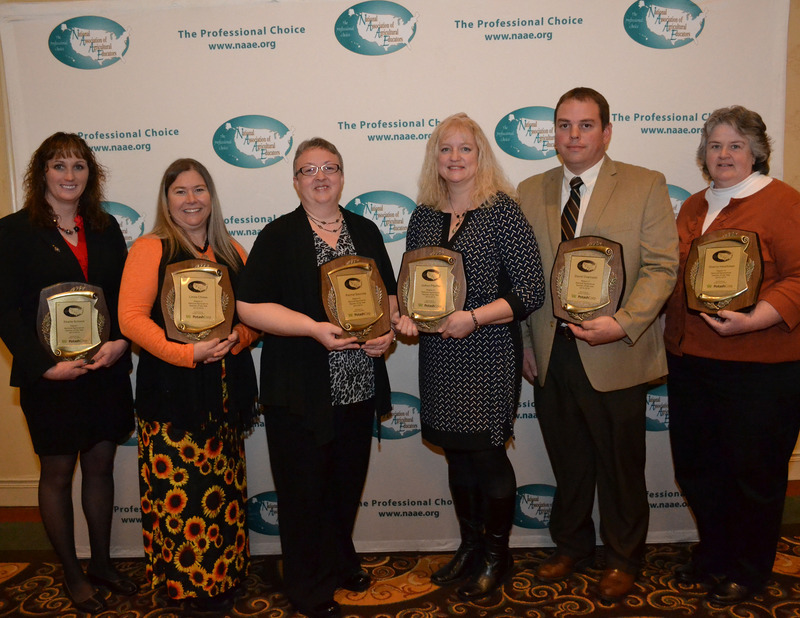 Award applications are due January 30, 2015. 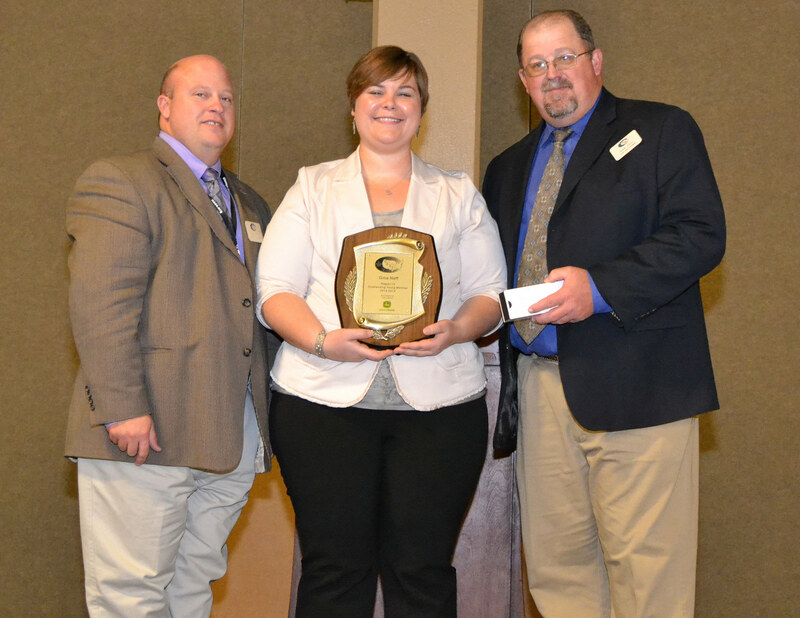 The Ohio Soybean Council Foundation is pleased to offer $36,000 in scholarships to undergraduate and graduate Students for the 2015-2016 academic year. Scholarships are available to undergraduate and graduate students pursuing studies related to the soybean industry and the field of agriculture. The deadline to apply is January 16, 2015 at 5:00pm, applications are available at www.soyohio.org/scholarship. Undergraduate scholarships: Six undergraduate scholarships of up to $3,000 each will be awarded, and one $3,000 Farmer, Lumpe + McClelland Excellence in Communications Scholarship, which was founded to provide resources to young people with a passion for agricultural and business communication. Also available to one undergraduate student is a $5,000 Bhima Vijayendran Scholarship, named to honor Dr. Vijayendran’s contributions to the soybean industry through his scientific research and commercialization activities at Battelle. Eligibility: Applicants must be Ohio residents enrolled as full-time students at an Ohio college or university, having attained at least sophomore status by the fall of 2015, with a grade point average of 3.0 or higher. Eligible majors include biology, biochemistry, bioengineering, molecular biology, chemistry, engineering, biotechnology, bioenergy, biofuels, food science, crop science, environmental science, agricultural communications, agricultural business, agricultural education or any of the agricultural disciplines or related fields. The person selected must complete an “internship” of at least one semester in one phase of the pork and swine industry. The minimum cash award will be $1,200 ($600 prior to the internship and $600 after satisfactory completion of the internship). ELIGIBILITY – Undergraduate and graduate students in The Ohio State University, College of Food, Agricultural, and Environmental Sciences, and the Agricultural Technical Institute (Wooster) are eligible. CRITERIA – The person selected must have an interest in the Pork Industry. Scholarship, financial need and moral character will be considered.Download the application and eligibility requirements here. The Department of Agricultural Communication, Education, and Leadership is again sponsoring a study abroad experience to Honduras during the May Term 2015. We will depart Columbus on May 23 and return on June 7, 2015. This study abroad experience is open to both undergraduate and graduate students. The Honduras study abroad was developed with consideration of the needs of Agricultural Communication, Education, and Leadership students. If you have any questions, please contact Dr. Cano or Tyler Agner. Are you interested in exploring agricultural and environmental issues and the ways through which mass media communication with and education the public about these issues in Scotland and England? If so, apply for the Agricultural and Environmental Communication study abroad program which is open to all majors. The program fee will be $4,730. Attached is a draft itinerary. The application deadline is January 1, 2015. See a video about the last program here. National Teach Ag Campaign – The National Teach Ag Campaign is accepting applications from current agricultural education majors interested in serving as the 2015-2016 National Teach Ag Campaign intern. The internship is made possible through support from our sponsors the CHS Foundation, DuPont Pioneer and Growth Energy. The position begins in May 2015 with the possibility of going through April 2016. Selected applicants must be based out of Lexington, Ky for the summer and then depending on performance may be offered the position from their degree institution for the remainder of the position. Therefore all interested individuals are encouraged to apply not just those in the Kentucky area. Agricultural education majors who will be student teaching in Fall 2015 or Spring 2016 are not eligible to apply. Each week there will be a new question for our students to answer and the responses will be compiled into a blog post. You can share your name or submit anonymously. J The question for this week: Where is your favorite place to study for finals? ELIGIBILITY – Undergraduate and graduate students in The Ohio State University, College of Food, Agricultural, and Environmental Sciences, and the Agricultural Technical Institute (Wooster) are eligible. CRITERIA – The person selected must have an interest in the Pork Industry. Scholarship, financial need and moral character will be considered. Download the application and eligibility requirements here.